Imagine laying in a cabana on a tropical island, while receiving a relaxing massage. Sounds pretty amazing right? 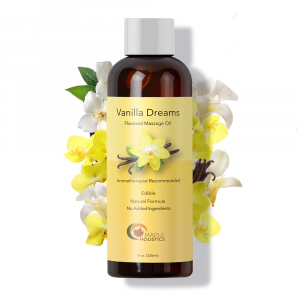 That's why we formulated our paraben-free tropical massage oil, to take you to that place of bliss and tranquility. Just close your eyes and let the intoxicating aroma of coconut, sweet almond, and jojoba whisk you away to the exotic vacation of your dreams. 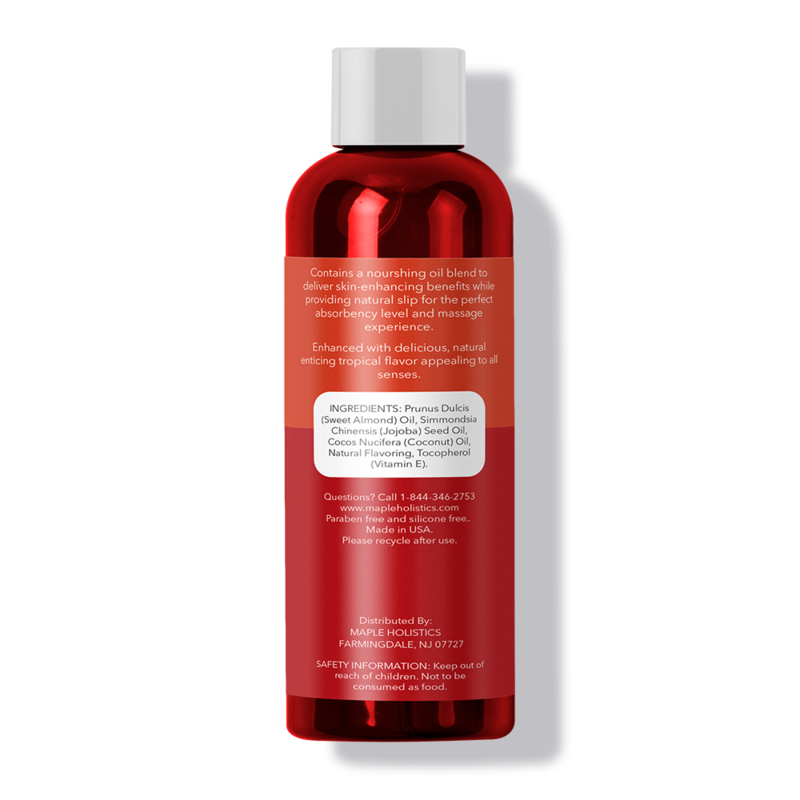 Massage away muscle pain with this vitamin E rich body oil which hydrates and replenishes skin, helping to smooth, firm, and illuminate your body, so you'll look and feel as refreshed as you would from a tropical vacation. 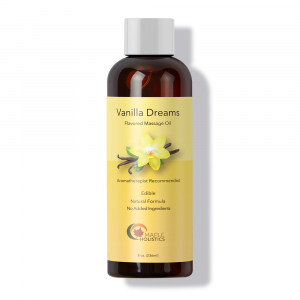 Coconut Oil, Jojoba Oil, Sweet Almond Oil, Natural Flavor, Vitamin E.
This product is amazing. 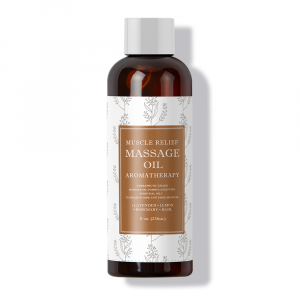 It smells really good and it is just the right amount of oily for a great massage. Love this oil leaves your skin soft. Smells really good. 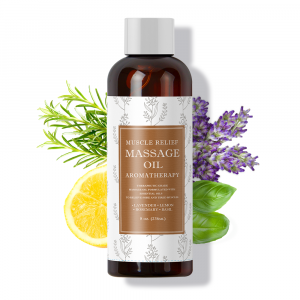 The best massage oil I’ve ever used! I love it!